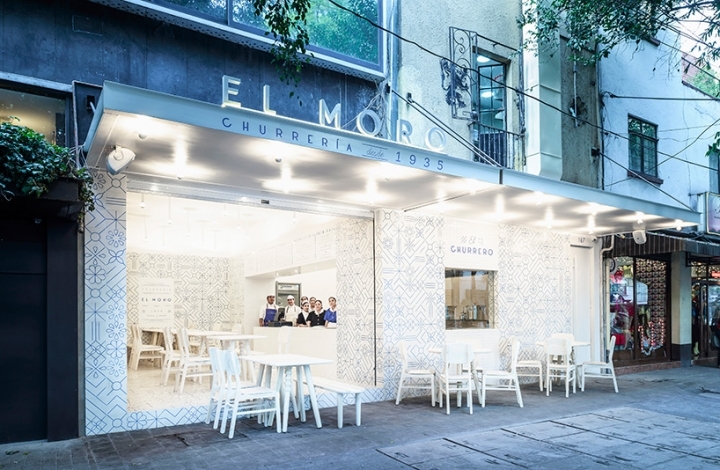 ‘El moro‘ has been one of the most popular images of daily life in mexico city since 1935, enthralling different audiences due to its unrepeatable authenticity and rich flavor which offers the best hot chocolate and Churros in the country’s capital. 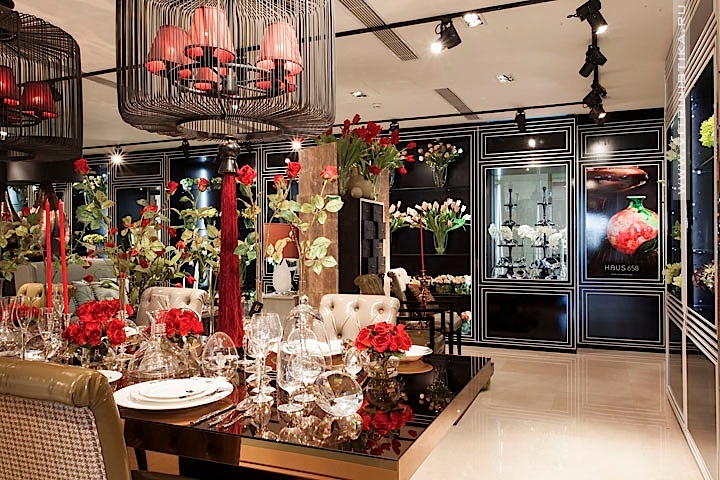 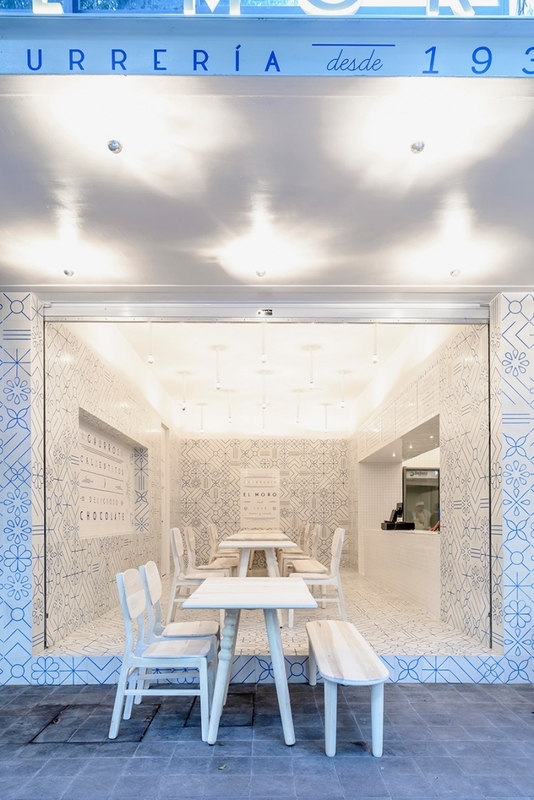 To create the brand concept, Cadena Asociados knew that understanding their family values and their history, in order to merge and input them into a new strategic vision, was the guiding principle of this project. 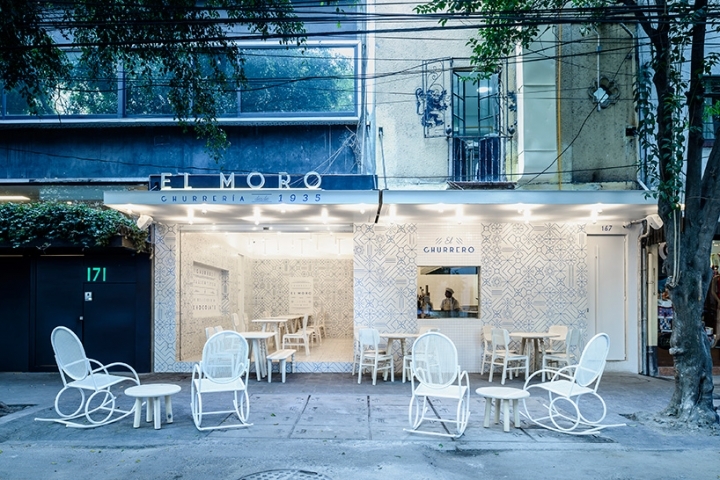 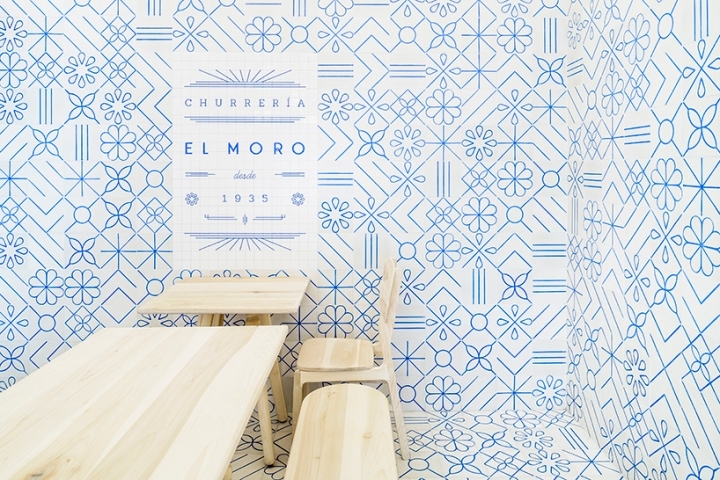 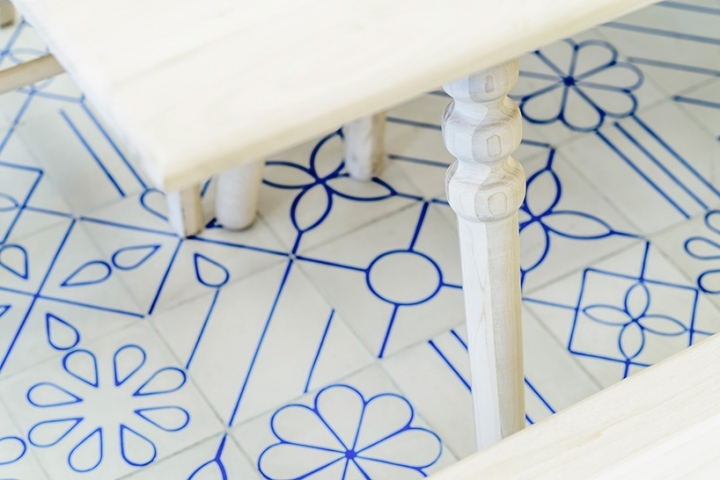 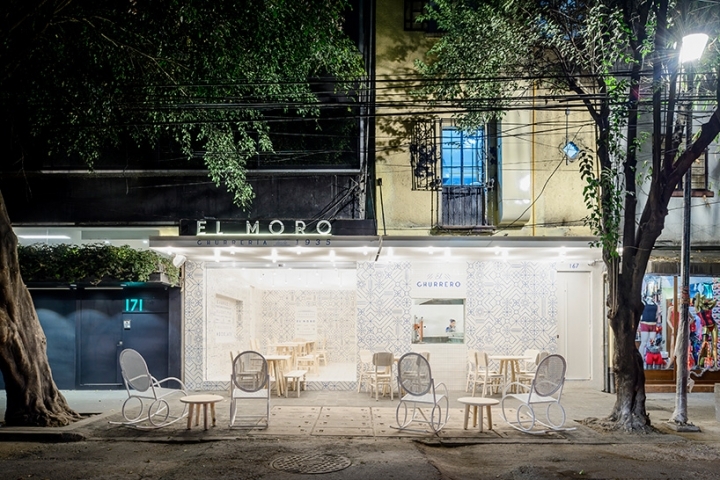 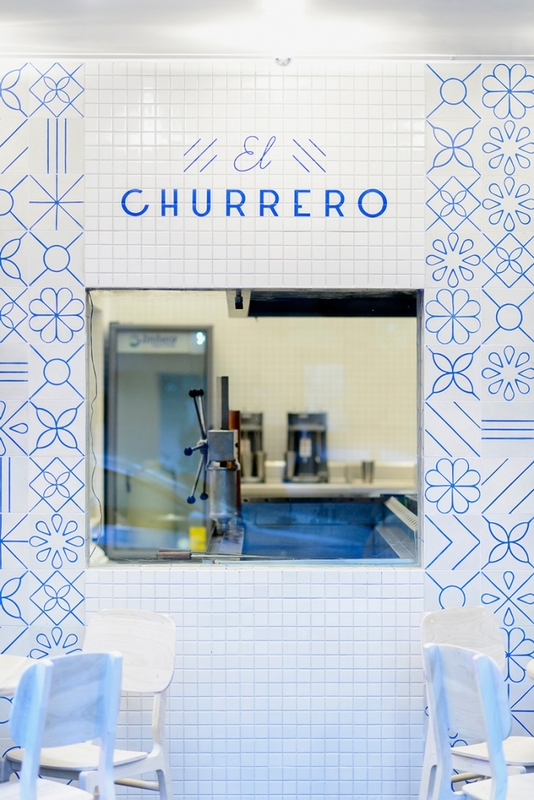 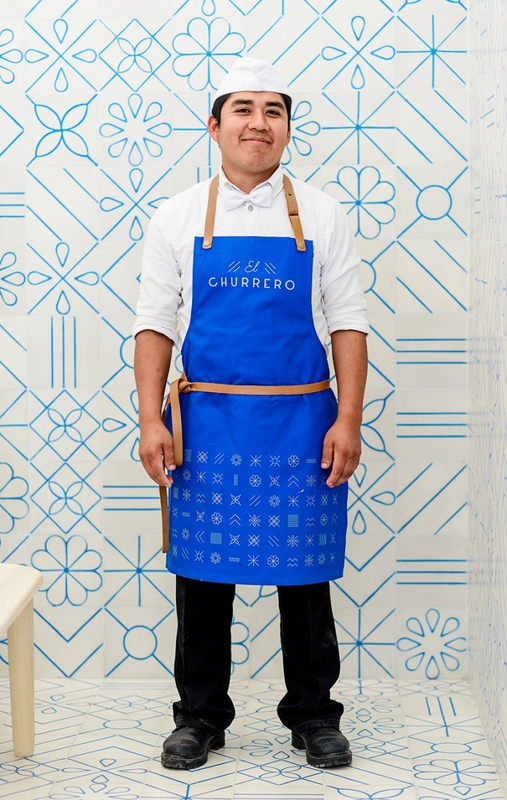 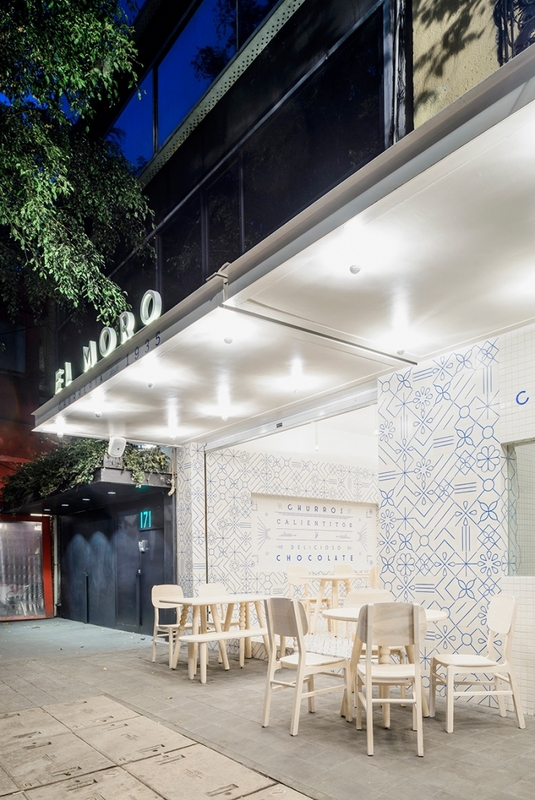 Classic wall tiles, along with stained glass windows and their delicious churros have set ‘el moro’ as a reference point for delighted customers for generations. 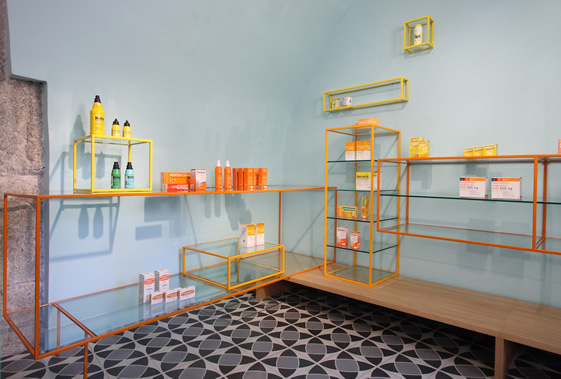 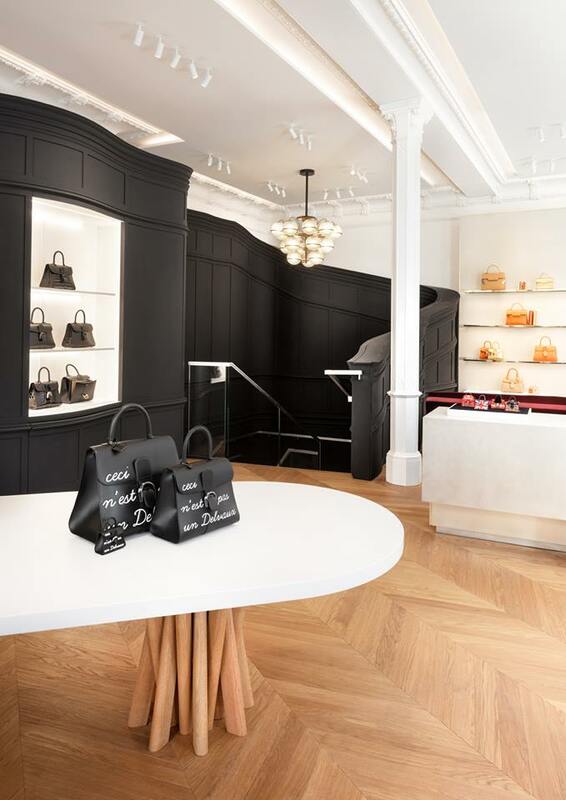 The new take on graphism translates into endless compositional possibilities that apply significantly to the brand’s identity, communication, architecture, and, interiorism. 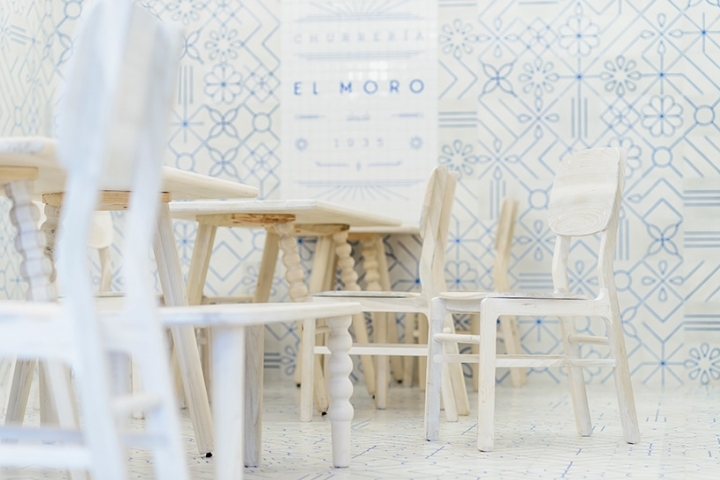 the chromatic palette, born from the unmistakeable mosaics that gave the brand its personality, are contrasted with a white hue inspired by sugar. 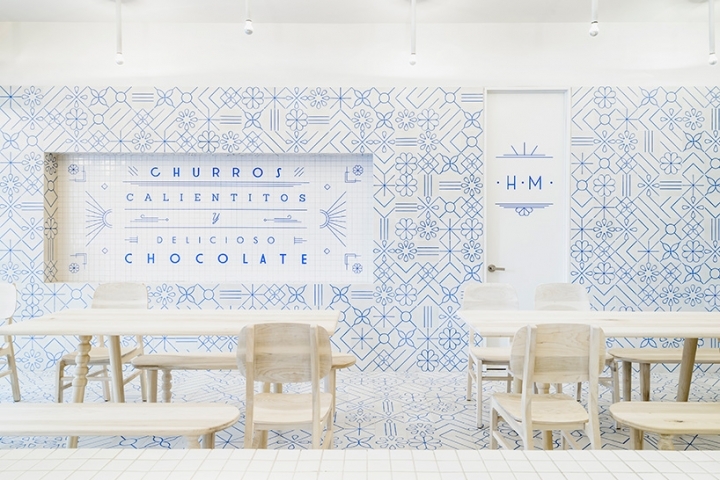 Language and furniture align forming unique expression, reminiscent of the golden age of mexico, when an art deco style dominated the city’s poster ads, movies, fonts, and architecture providing sufficient graphic elements, symbols, and even communication through different artistic means. 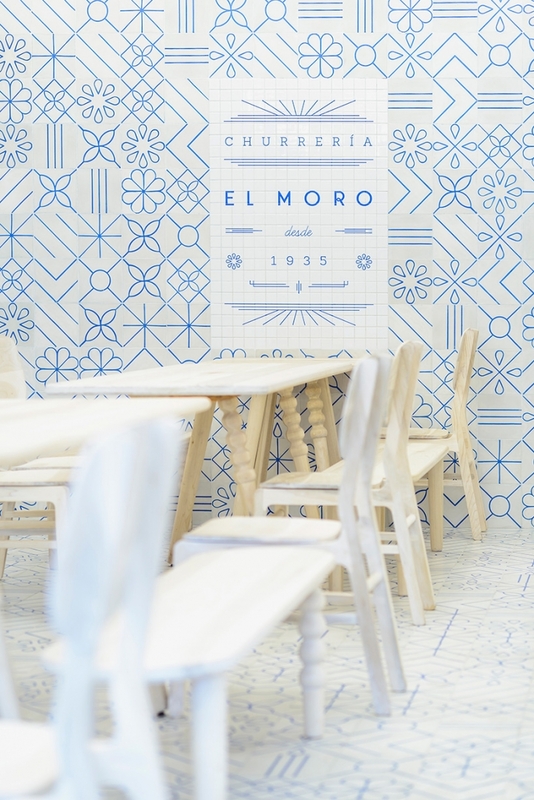 Thus, creating a new integrated concept that emotionally connects people today with the collective subconscious in a new brand experience, which projects the true DNA of ‘el moro’.